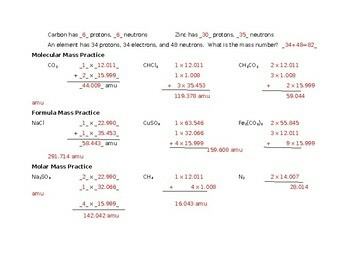 Chemical titles are often confusing to students. 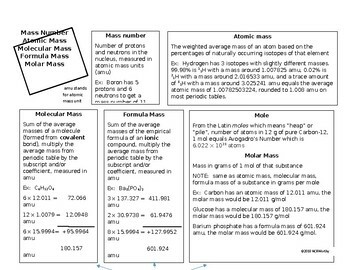 This one-page block set-up reviews over atomic mass, mass number, formular mass, molecular mass, and molar mass, with a sample of each. 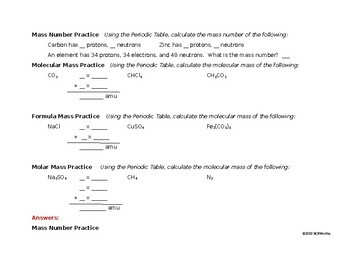 It also includes a one page practice page. The answers and work are given.